The Kumbh Mela in Uttar Pradesh's Prayagraj is set to witness the last dip at the Sangam, or the holy confluence of the Ganga, Yamuna and the mythical Saraswati, on Monday on the occasion of Maha Shivratri 2019. 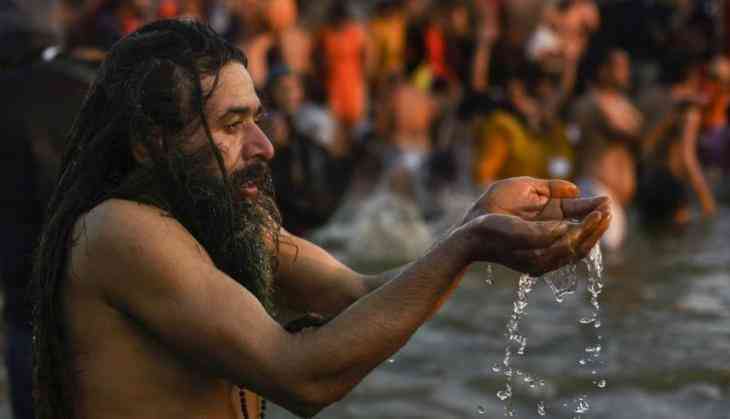 More than 22 crore devotes have taken a holy bath at the Kumbh Mela this year. "Maha Shivratri symbolises the last holy bath of the Kalpvasis and is directly related to Lord Shiva. As per the mythology, this day is awaited in the heavens as well," Gunjan Varshney, president of Ram Naam Bank situated at Civil Lines in Prayagraj, told news agency PTI. She also said it was on Maha Shivratri that Lord Shiva got married, and hence is eagerly awaited by his followers, who worship him. Elaborating about the significance of Maha Shivratri, Ashutosh Varshney of Grah Nakshtram, who has set up his camp at the Kumbh Mela, said, "Maha Shivratri marks the culmination of the Kumbh and the prominent bathing days. Maha Shivratri 2019 is falling on a Monday - the day dedicated to Lord Shiva, which is falling after a long time." The Kumbh Mela, one of the largest religious gatherings in the world, held in Uttar Pradesh's Prayagraj from January 15 on Makar Sakranti to March 4 this year. "This is a very rare coincidence and the Sangam area will remain more crowded than previous years since it is the last bating day," he said. Mr Varshney said Kumbh will conclude on a rare occasion, Maha Shivratri 2019. He also said Rudrabhishek of shivling is also done on Maha Shivratri. In the Kumbh held in Prayagraj, there were six bathing dates. "Of these, shahi snaans were held on occasions of Makar Sankranti (January 15), Mauni Amawasya (February 4) and Basant Panchami (February 10). "Apart from this, parv snaans have been held on the occasion of Paush Poornima (January 21) and Maghi Poornima (February 19)," Varshney said. The Kumbh draws lakhs of pilgrims over the course of approximately 55 auspicious days to bathe at the Sangam. It is celebrated four times over a course of 12 years.